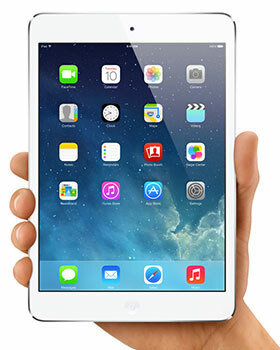 Apple’s iPad mini with Retina display is the second-generation in the line-up of smaller iPads. The main difference over the first iPad mini is the new high-resolution “Retina” display, which really should have been the screen used when the original device was unveiled in October 2012. Apple has become somewhat predictable with its release of major devices. With the release of the first-generation iPad mini, many consumers said they’d wait for the next version with Retina display, but that didn’t stop the first model from quickly outselling the 9,7-inch iPad. What Apple has done with the iPad mini with Retina display is cram all the high-end specs found on the bigger iPad Air into the smaller form factor tablet computing device. When looking at the new iPad mini, one thing is obvious — the screen is amazing to look at. The difference between the previous and current versions is startling when placed side by side. Something as small as a thumbnail image is clear, with plenty of detail, whereas it appears quite blurry on the the older model. Everything on screen appears crisp and detailed, with colours that stand out. The 7,9-inch display now offers up a 2 048×1 536-pixel resolution for a pixel density of 326ppi, a big step up from the 1 024×768-pixel, 163ppi display in the first one. The iPad mini with Retina display has the same screen resolution as the iPad Air (reviewed here), but the larger screen size gives the Air a lower pixel density of 264ppi. Physically, the tablet is almost identical to the previous generation. It’s only a few grams heavier than the old model — 29g to be precise for the Wi-Fi and cellular version taking it to 341g. We reviewed a 16GB Wi-Fi and 4G/LTE version in black. The device has the same narrow bezel on the side edges and is comfortable to hold in one hand without worrying about having to shift its weight around. However, it does have a slightly wider screen than other devices in the same category. On the top, you will find dual microphones and a 3,5mm audio jack, while at the bottom is the proprietary “Lightning” connector as well as the built-in speakers. On the right hand side sits the power button, volume controls and nano Sim card slot. Don’t be fooled by the size of the iPad mini: it does not have watered down specs. This little device is powered by the same speedy chip found in the iPad Air: the A7 with 64-bit architecture and M7 coprocessor. The coprocessor is used for activity tracking, but it’s hardly an important add-on for a tablet. General use of the new iPad mini shows it is noticeably faster than the previous model when performing the same tasks side by side. The tablet, with its 64-bit chip, did not crash apps the same way we experienced with the iPhone 5s at launch. However, the camera, while mostly snappy, did experience a stutter every now and then when shooting rapidly. The size of the tablet is ideal for travel: using on a plane and using it to catch up on reading or to watch movies. After extensive use of the iPad mini, we will find it almost impossible to go back using a larger tablet like the Air. The tablet has a 5-megapixel rear camera with autofocus, face detection and a five-element lens, and is capable of recording in full high definition. It also has tap-to-focus while recording video, with 3x video zoom and video stabilisation. The front-facing 1,2-megapixel camera has face detection, shoots video at 720p resolution and supports Apple’s video-calling service FaceTime over both Wi-Fi and 3G. The tablet ships with iOS 7. The completely revamped mobile operating system, with its brightly coloured icons, offers a slightly different experience to the iPhone. It appears iOS 7 was designed primarily for the phone, and the experience does get a bit lost on the iPad. Everything appears a little too stretched. And quick access to aeroplane mode, “do not disturb” and “torch” are not features iPad users needed. Of course, iPad users have access to the largest array of applications on any tablet. There are more than half a million apps made specifically for iPad, notably now including Microsoft Office (without Outlook). Just a day after Microsoft’s suite became available in the App Store, it reached the top of the charts. The iPad mini’s battery life is excellent and noticeably better than on the first model. It simply just keeps going. There’s no moment where you’re left wondering if you will last the day without the charger. 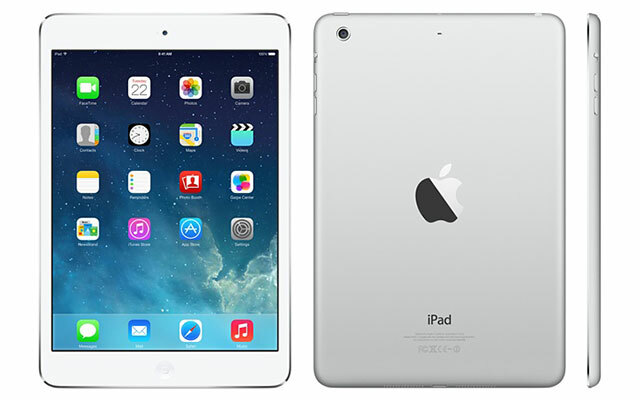 Overall, the iPad mini with Retina display is the tablet Apple should have released back in October 2012. It’s the perfectly sized portable device, has all the high-end specs found on the iPad Air, and the display is something to marvel over. The only thing missing? Touch ID.